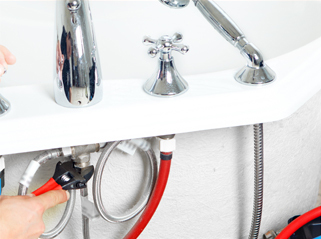 If you have discovered that your heater needs Water Heater Replacement in Tempe, AZ, call us. Let us keep your family supported by repairing or replacing your unit. When your water heater requires replacement, our experts will help you to determine which units are right for your home and your household budget. There are many different types of heaters for your water usage: Traditional water storage heaters are a tank model. They are available in different gallon sizes. Standard units maintain the water at set temperatures. They were known to last about 11 years. However, today's modern standard looking heaters are more energy efficient, plus they can reduce utility bills by about 7%. A tankless heater for water is very energy efficient because it heats only when it is needed. It needs less space and it can be hung on walls. Contact us to install your new tankless unit because you may need different gas lines, different venting or added circuits. They have a life expectancy or about 20 years with a promise to cut your water utility bills by as much as 30%. A hybrid heater for your water needs is the combination of a storage tank, as well as a heat pump that extracts heat from the air and uses it to heat the water. Hybrid heaters for water operates with electrical connections. A hybrid helps to lessen your water utility bill by almost 60%. Naturally, the sun's energy generates how hot your water gets. Solar water heaters requires a well insulated storage tank. Our Water Heater Replacement in Tempe, AZ experts also understand and will explain to you how you may also need a backup system for those cloudy days and for your water demands.